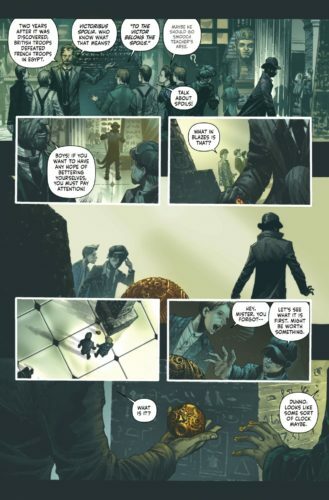 Comic-Con 2016: Kareem Abdul-Jabbar Brings Mycroft Holmes To Titan! That’s a headline I would have never thought about writing, but we’re in a time when practically everybody wants to do comics. NBA All-Star Kareem Abdul-Jabbar has been a tremendous community leader and humanitarian, and over the past few years has established himself as an essayist who has rapidly become one of my favorites. When he turned to writing novels, it seemed a no-brainer. And that he would chronicle adventures of Sherlock Holmes’ smarter brother — well, but of course. 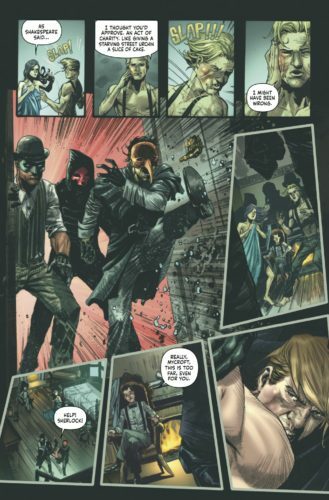 Titan Comics are excited to announce that NBA legend Kareem Abdul-Jabbar will be unveiling his unique take on Mycroft Holmes at the summer global event San Diego Comic-Con this July! 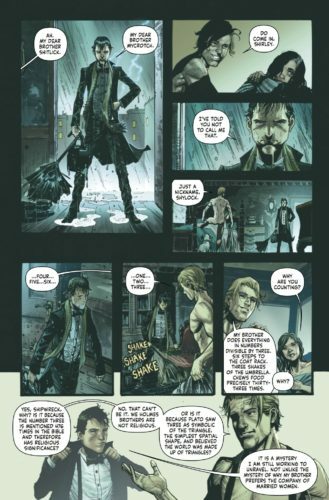 An all-new comic book adventure, The Apocalypse Handbook – written by Kareem Abdul-Jabbar and Robert Obtsfeld (Joker and the Thief) – sees the diffident, brilliant Mycroft pulled into a globe-spanning adventure at the behest of Queen Victoria and a secret organization at the heart of the British government. A madman is on the loose with futuristic weaponry capable of destroying civilization in the most horrific manner. Can the smartest man in England set aside his idle, womanizing ways long enough to track down the foe that may be his match? 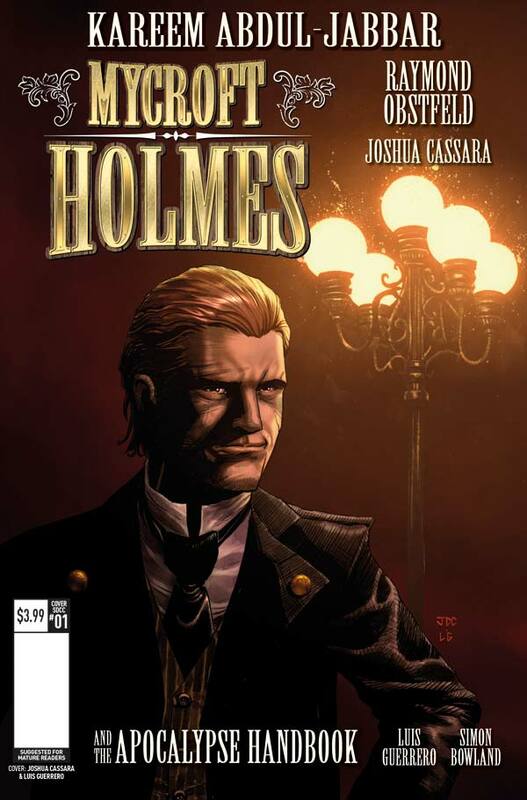 This hotly anticipated comic book – which hits regular stores on August 3 – will exclusively debut at this year’s San Diego Comic-Con (July 21-24) with a special never-before-released variant cover by series artists Joshua Cassara (New Avengers, The Troop) and Luis Guerrero (The Twelfth Doctor) – only available to purchase at the show at Titan booth #5537. 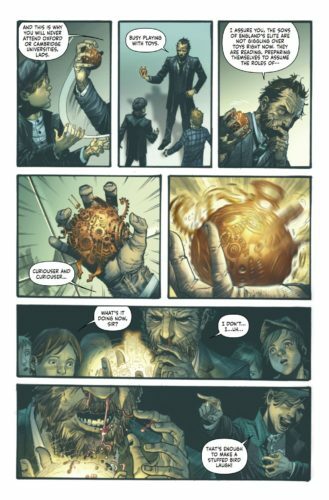 As part of this special SDCC appearance, Kareem Abdul-Jabbar as well as series artists, Joshua Cassara, Luis Guerrero, and Mycroft Holmes and the Apocalypse Handbook editor, Andrew James, will be speaking at an unmissable panel on Thursday July 21 at 12:00PM (room 5AB), taking SDCC attendees exclusively behind-the scenes of the new comic series and revealing special artwork previews.